Your Most Trusted Pest Control Company Since 1950. Nearly 68 years later, we are still confident “the only bugs you’ll want at your home are ours." 4th Generation Family Owned and Operated. Gunter takes pride in our family values and passes them along to our customers through our quality of work. We're known for our customer centric technicians driving friendly green beetles all over town. Pictured: L.R. 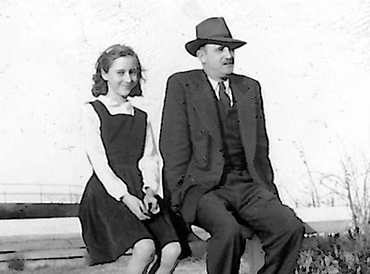 (Reggie) Gunter with daughter Patricia Gunter Besheer, mother of president Jay Besheer, a few years before taking over his cousin Roy’s bug business in Kansas City. When Roy Gunter treated homes in the '40s and early '50s, he treated homes using pre-mixed pesticides from a company downtown. The product was called DE-BUGG, so he loosely called his company DE-BUGG. One smart marketing concept he used was to put a sticker up in the client’s basement or garage. Many of these stickers still exist in Kansas City homes today. As Roy Gunter’s health declined, he enlisted his cousin Reggie Gunter to ride with him and help him on the jobs. Within a few years, Roy gave all his clients to Reggie and retired. Reggie saw it as an opportunity to own his own company and to work for himself. There were only around 50 clients, but it was a start. The average job in the early '60s was around $17.50. The hardest part about being in the “exterminating” business was the business itself – advertising, accounting, budgeting and client records. This is where his education at Baker University and his experience owning Gunter Candy company was put to good use. Reggie Gunter at the National Pest Management Association conference. Over the years, Reggie Gunter, his son-in-law Norman Besheer, and his grandson and current president Jay Besheer attended dozens of NPMA conferences all over the United States and have been deeply involved in the pest management world. LR Gunter “The Bugman” rebrands to Gunter Exterminating Company, Inc.
Reggie’s son-in-law Norman Besheer took over the business and the name of our company changed from LR Gunter “The Bugman” to Gunter Exterminating Company, Inc.
Norman worked as a corporate lawyer for several public utility companies, as well as a couple downtown law firms. It was a good move in terms of the company’s historical progression to have a corporate lawyer running the show. Norman still works in the office now as CEO at 88 years old! Current President Jay Besheer graduates from Southwest High School in Waldo. This year, he would head off to study at the University of Missouri while working summers at Gunter Pest Management. Reggie and Betty Gunter celebrate their 50th wedding anniversary. The couple ran the bug business out of their home at 205 W 70 Ter in Kansas City’s Brookside/Armour Hills area. The office was a converted 3rd bedroom on the second floor of their home. Elizabeth, known to her friends as Betty, answered the phone. A few years later they would move to a physical office location in Waldo after outgrowing their home “office”. Jay Gunter Besheer graduates from the University of Missouri. 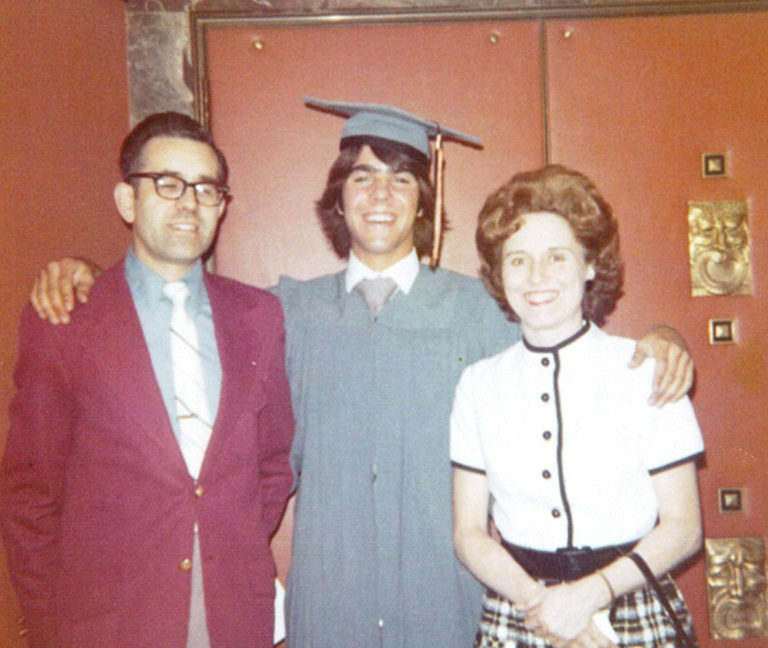 Current President Jay Gunter Besheer graduated from University of Missouri in 1977 with a business degree and studies in entomology. Norman Besheer pictured with Gunter's first employee, Harold Slaughter. 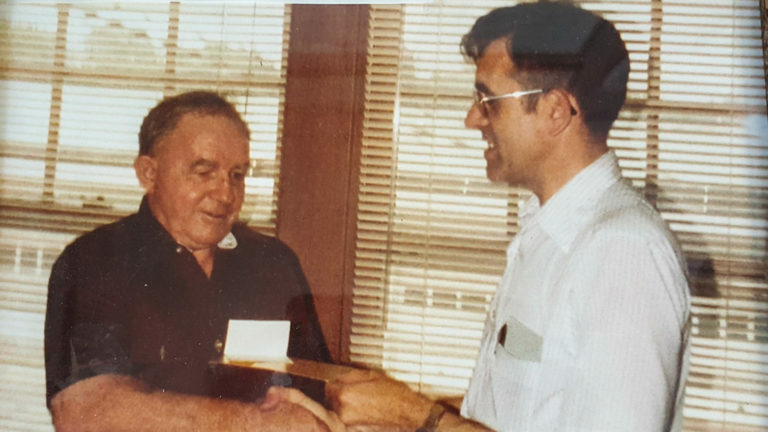 Norman Besheer pictured with Gunter's first employee, Harold Slaughter, on the day he officially retired from an 18-year career, working at Gunter since 1962. 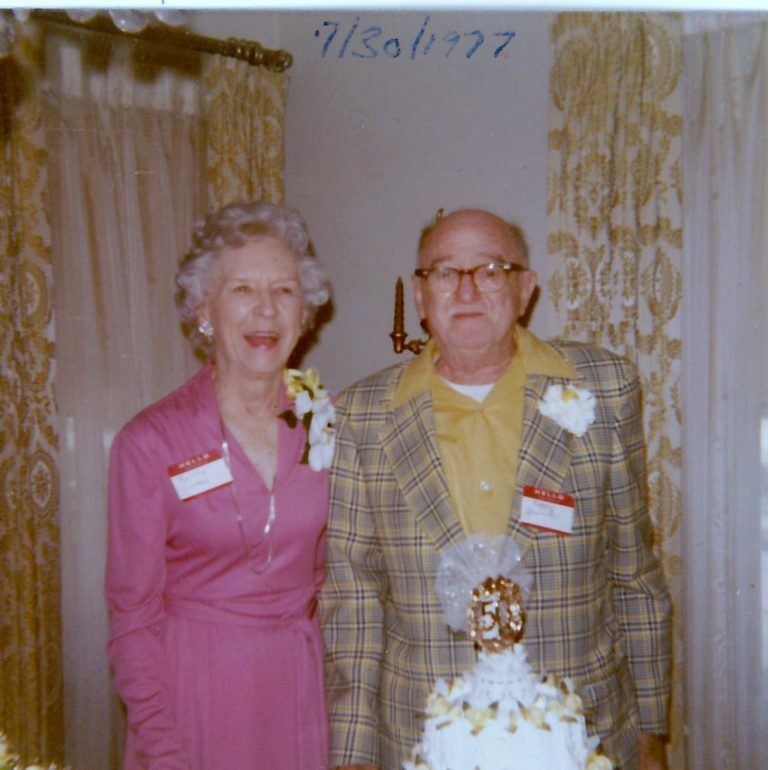 Gunter hired their first secretary, and in 1980, our operation had out-grown Reggie and his wife Betty’s home on 70 Terr, so they looked around for a shop space for rent. We moved about six blocks South to 216 W 75 St in Waldo. 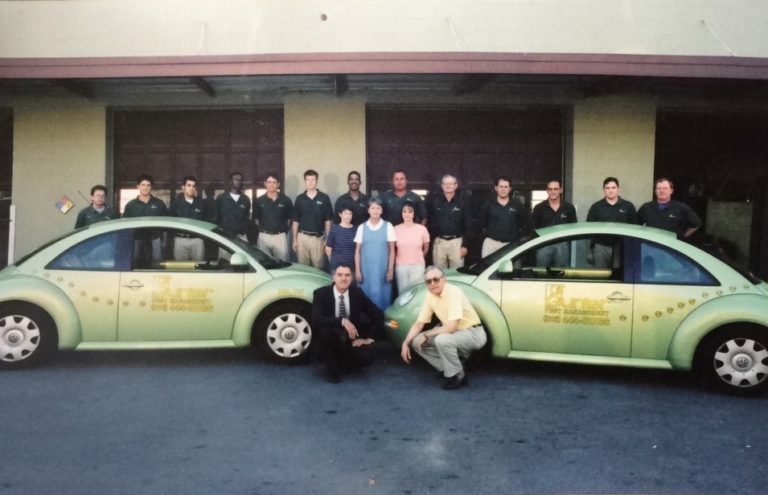 The “new beetle” came out in 1998 and we began driving them as our service vehicles in 1999. We originally started with one VW Bug and we immediately started receiving calls from Kansas Citians telling us that they saw our beetles all over town, when in fact we only had one at the time. As of this year, we have 17 green VW bugs, which represents most of our fleet. Also in 1999, we hit just over $1 million in sales after 49 years in business. Jay Gunter Besheer takes over as President. Jay Gunter Besheer, Reggie’s grandson, and Norman’s son, officially took over Gunter Pest Management as president, moving Norman Besheer to a new role as CEO. A new look for Gunter. Volkswagen discontinues lime green beetles, Gunter changes our service vehicles to white and green! 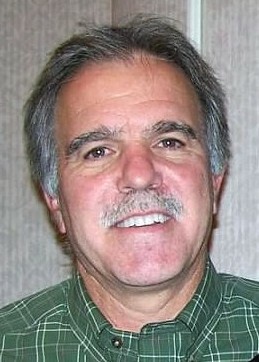 Norman Besheer named “Mayor of Waldo." 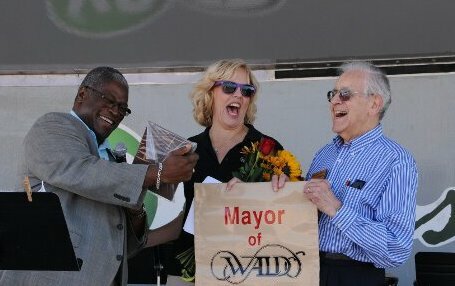 Gunter CEO and past president Norman Besheer named new “Mayor of Waldo" pictured with Kansas City Mayor Sly James. Gunter hits new professional highs. 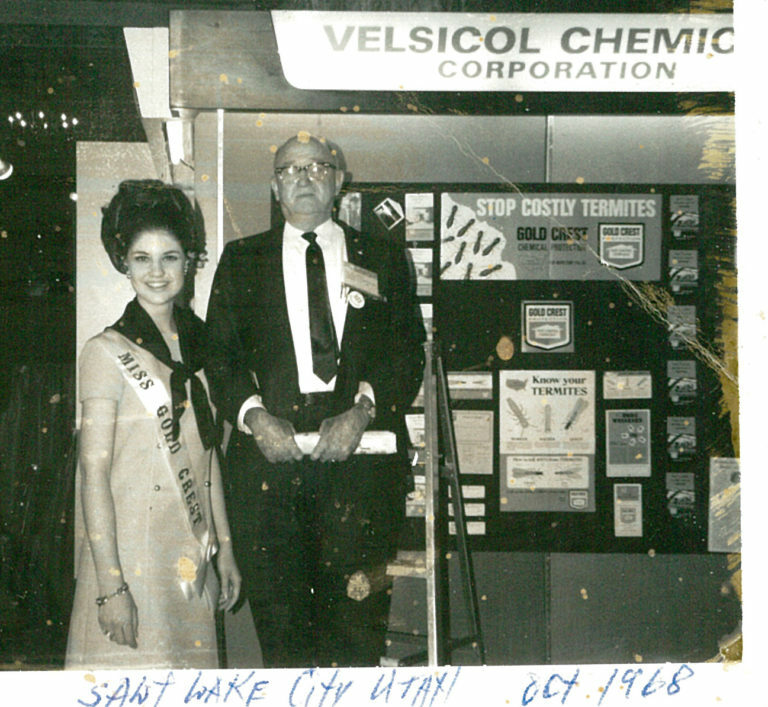 Our customer list hit over 110,000 homes and businesses visited and expanded to now 30 employees. 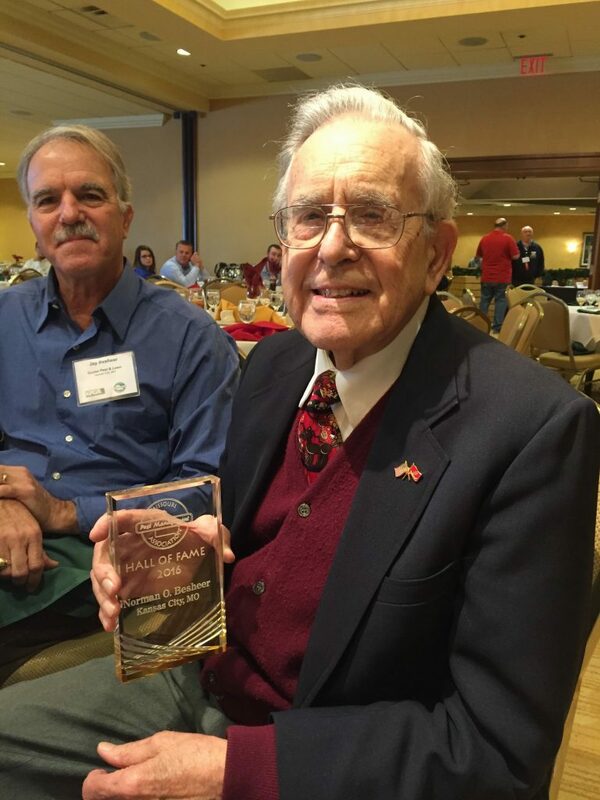 Norman Besheer inducted into MPMA Hall of Fame. Norman still works in the office every day as CEO at 88 years old. His work ethic and example have helped shape Gunter Pest into the company it is today. Gunter introduces new logo with shield, symbolizing our historic protection over KC homes and businesses from unwanted pests. 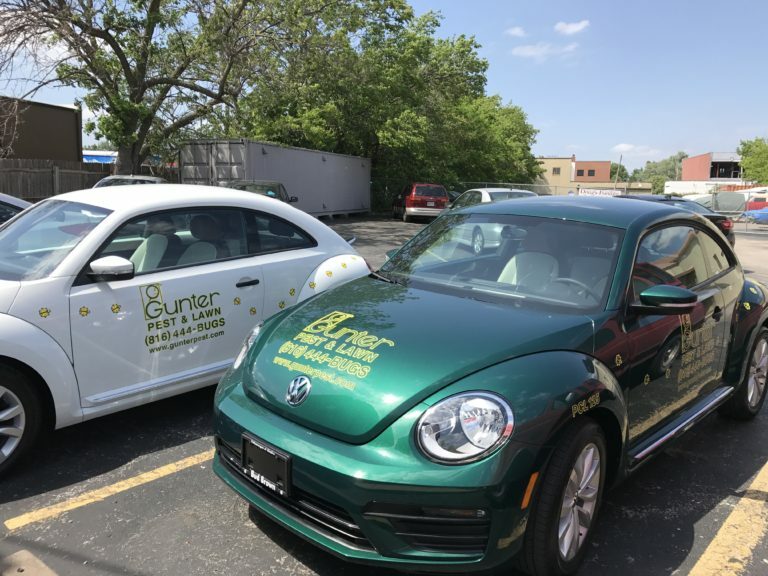 Gunter adds forest green beetles to our 17 beetle fleet. 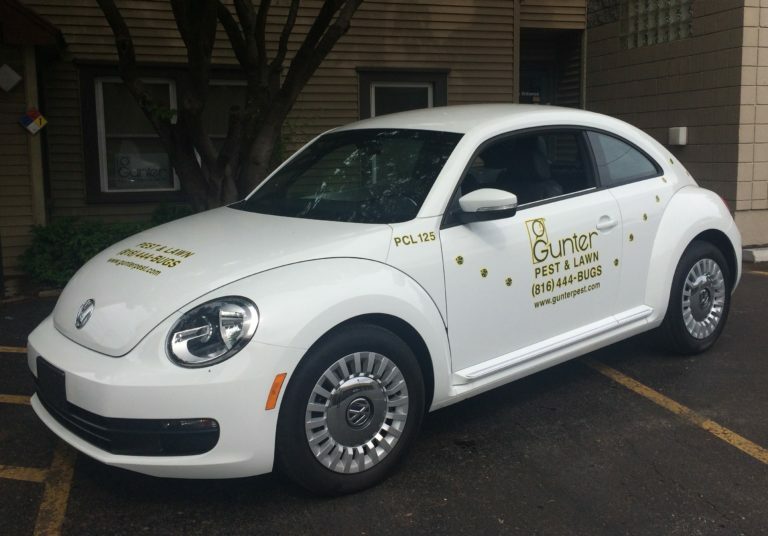 Roy Gunter, an early resident of Overland Park, founded Gunter Pest Management in 1950. 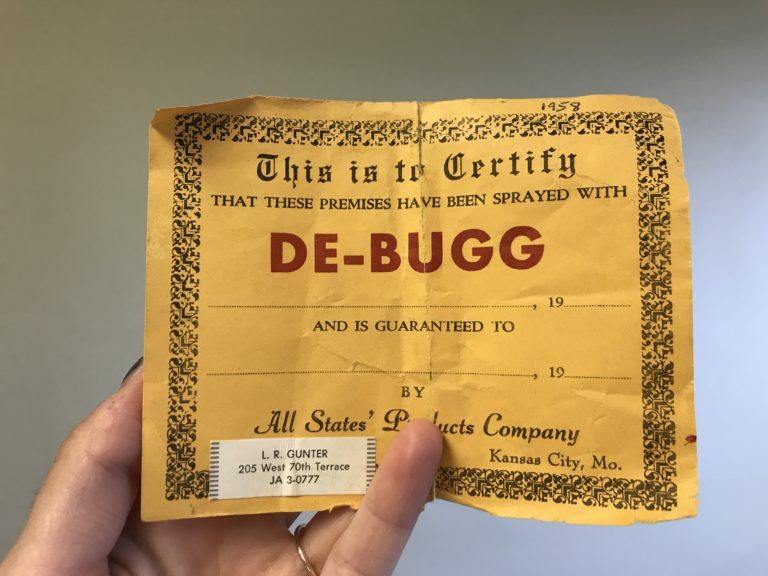 De-Bug, as we were loosely named, began in the township of Lake Lotawana, Missouri. Now known as Kansas City’s & Saint. Joseph’s Most Trusted Pest Exterminator Company. While flashy billboards and advertisements weren’t really within the budget, Roy put stickers in the client’s basements. When discovered, each sticker had his name, the service date, and phone number listed. Many of these stickers could be found in basements throughout the metro today! Though founded on humble beginnings, our reputation for quality service was spreading across the metro. It wasn’t long before Roy was being requested throughout Kansas City and Johnson County. As business grew, Roy’s health began to fail. It was then, that first cousin, Reggie “L.R.” Gunter joined the family business. Reggie and wife, Betty, continued their humble business from their home in Armour Hills, a classic and central Kansas City neighborhood. In the Fall, 1958 what was “De-Bug” (and later, of course, Gunter Pest Management) became known as “L.R. Gunter, the Bugman.” Virtually all new business was derived from recommendations from satisfied neighbors and friends. Reggie was quick to coin a clever motto; “ask your neighbor!” which it seems that over the years over half of KC has done just that! In those early days, Betty took the calls while Reggie worked out in the field. Betty used to reminisce about the times when they didn’t even have enough money to purchase a desk, and she spent all day answering the phones from her workspace on the living room floor. Reggie also started a filing system where he would keep track of when each client’s one-year treatment was due and sent out a postcard to remind them to call for service. We have now used this system for nearly 60 years! Reggie, himself, kept up with all service until close to his 60th birthday in 1962. At 60, he just couldn’t continue to keep up with the growing demand of the business. He then hired his first employee, Harold Slaughter. Our owner Jay has never been sure where his Grandfather met Harold but knows that he was very skilled with customers. He was a chauffeur for most of his life, and definitely learned the art of small talk. Growing up, Jay used to ride with Harold in the summers and watched as he “worked the ladies.” Never in a crude way, but he had a fantastic routine. He’d always pick up the newspaper in the front yard and hand it to the client (usually a lady) on the way in. He’d then pat the family dog’s head, and proceed to ask for any and all updates in her life since the year before. Harold was a true gentleman, and over the years became an iconic representative of our company. 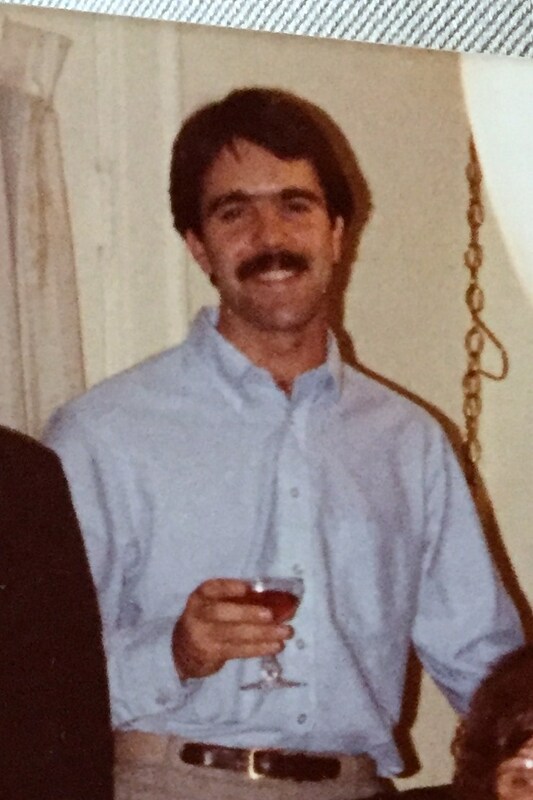 He was with us so long (until the 1980s) that many people assumed that he was Mr. Gunter. Sometimes, Harold would correct them and sometimes he wouldn’t bother. It was no concern of the Gunter’s, Harold had that special personality that clients were looking for. He was like a second grandfather to our owner, Jay. He always treated him with the same respect he provided the clients. He taught Jay, not only the technical aspects of the pest business but the finer points of customer relations. He always treated him with the same respect he provided the clients. He taught Jay, not only the technical aspects of the pest business but the finer points of customer relations. Jay Gunter Besheer clearly loved spending time with his Grandparents and Harold. He spent his childhood and teenage summers alongside the “Bugman” team, often entertaining the homeowners as the service was performed. In the later years of Reggie’s life, his son in law and Jay’s father came aboard as well. Norman O. Besheer left his career in Law, becoming president after Reggie’s death in 1979. Under Norman’s and Jay’s leadership modern day, Gunter Pest Management came to be. In 2001, Gunter acquired A&L Pest Control; A&L was one of the premier pest management firms in Greater Kansas City, with over 20,000 satisfied clients at the time of the merger. The merger of A&L and Gunter formed one of the largest pest management firms in the Midwest. 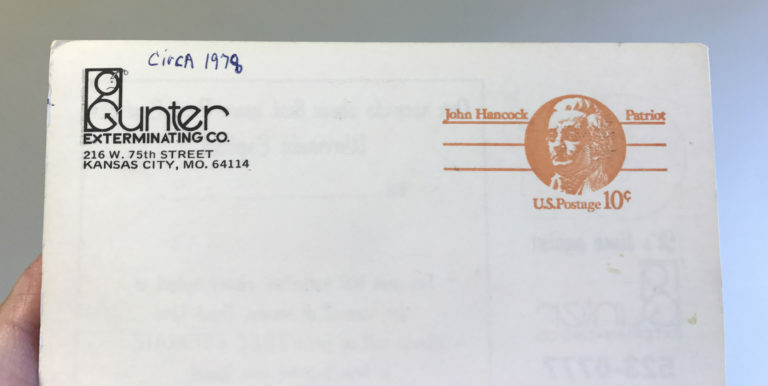 Other purchases throughout the years include Cleartox Termite Control, Johnson & Johnson Pest Control, Beaman Pest Control, Allied Exterminators, Woodbury Pest Control (St. Joseph Pest Control) and Power Pest Control (St. Joseph). If you have any more questions that our about area doesn’t answer please check our FAQ section and if you can’t find an answer to your question there please call us. Prevent termites before they bug you.